New Delhi: The Delhi High Court Tuesday asked whether a person could be allowed to be kept in jail indefinitely for the offence of murder even if he has already served the sentence. The court raised the query while hearing a plea by former youth Congress leader Sushil Kumar Sharma, serving life term in the 1995 murder of his wife Naina Sahni, seeking release after having undergone 29 years of incarceration. A bench of Justices Siddharth Mridul and Sangita Dhingra Sehgal said it was concerned with the human rights of the prisoner and termed the issue as "very serious". "He is incarcerated for over 25 years including remission. A murder itself is brutal. He has already served the sentence. Does it not infringe upon his human rights, which are inalienable rights. "The Sentence Review Board (SRB) cannot say no no this murder was brutal, so we will not release him," the bench said. Referring to a report filed by SRB, the bench noted that the possibility of Sharma committing a similar offence again has been ruled and the authorities do not see him as a menace to society. "Then why should we keep him in jail indefinitely?," it asked. The court had earlier issued notice to the Delhi government and sought its stand on Sharma's habeas corpus plea seeking release from custody on the grounds that he has been jailed for 29 years, including the period of remission, and his continued incarceration was illegal. The bench further said that "if we allow the executive to keep a person in jail indefinitely, where do we draw the line. Then nobody will be released ever for committing a murder". 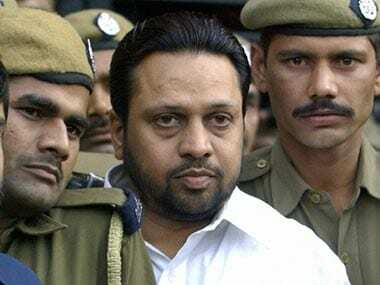 Sharma, who is in prison since 1995, has contended that he has already undergone the maximum prescribed sentence as mandated under the SRB guidelines. 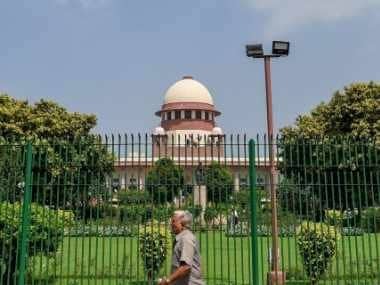 Advocate Amit Sahni, appearing for Sharma, said the guidelines on premature release state that life convicts sentenced for a single offence are to be released after completion of 20 years of incarceration and those who had committed heinous crimes are to be granted the relief after 25 years. 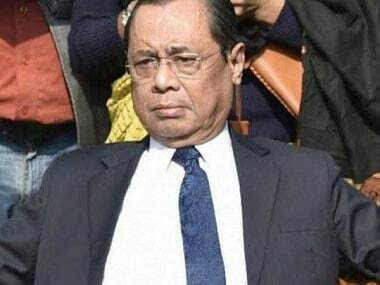 Delhi government standing counsel (criminal) Rahul Mehra said the LG, who is the competent authority to decide the pre-mature release of convicts, had accepted the SRB recommendations not to release Sharma and all records were put before him. 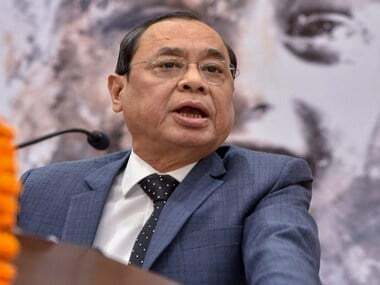 The Secretary of Law and Justice department, who was earlier asked to appear in the court, said the guidelines on premature release were not a binding on them and there was discrimination done with Sharma. The court, which listed the matter for further arguments tomorrow, directed the state to also produce the original records on Sharma's application to the SRB for premature release and the reasons for rejecting it. The petition has said that even though Sharma's case falls in the first category, he has also undergone 29 years of incarceration, with remission, and 23 years and six months, without remission. Now 56, Sharma had shot dead his wife in 1995 objecting to her alleged relationship with a male friend. He had then chopped her body into pieces and attempted to burn it in a restaurant oven. Known as the tandoor (oven) murder case, it is one of the landmark cases in India in which DNA evidence and a second autopsy were used to establish the guilt of the accused. In his plea, Sharma has contended that his conduct in prison and while out on parole has been "exemplary" and he has never misused his liberty. Apart from that, he has also argued that even the Supreme Court, while commuting his death sentence to life imprisonment, had held that he was not a confirmed criminal and there was no evidence to indicate that he was likely to revert to such crimes in future. Another ground on which he has sought release from custody is that both his parents are over 80 years old and suffering from various ailments and there is no one to look after them.